This page contains various programs, algorithms and data structures that I have made in connection with numerical mathematics, linear algebra, computation theory and other various topics. 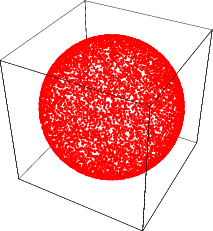 Choosing a random direction, uniformly distributed on a sphere in 3D-space is essential to many algorithms in robotics. This Mathematica notebook shows the naive/incorrect approach and a simple correct approach based upon Gaussian distributions. Et par enkle eksempler på hvordan matrixoperationer fungerer i Mathematica. Blev lavet i forbindelse med en skriftlig eksamen i lineær algebra. 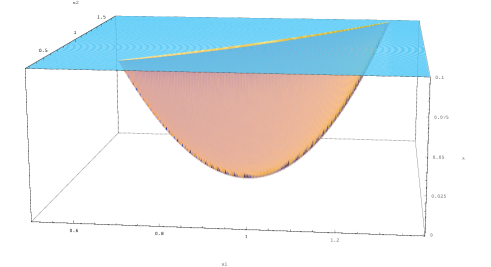 Mathematica function for performing Cholesky factorization of a skew-symmetric matrix. A good example of how to compile a Mathematica function for faster execution. Functions for performing Richardson extrapolation. Useful for speeding up most numerical algorithms and estimating the numerical error. This is the classical secant-method of finding the root of a function. Steepest descent method using the gradient to find the maximum or minimum value of a function. Dependant on the secant method and gradient found above. A small and simple webserver written in Java. Listens for incoming connections on port 1300 and spawn new threads for serving the HTTP contents. This is a basic example of a stop-and-wait protocol using postive and negative acknowledgements to get reliable link-layer data transfer. The source was intended as a test on a PC before moving on to development on a AM186ER microcontroller. A very simple test of multiple threads, accessing the same variable with the problems it gives. This is an interactive test of acquiring/releasing semaphores in a multithreaded environment. The user can acquire/release semaphored variables through an interactive interpreter.